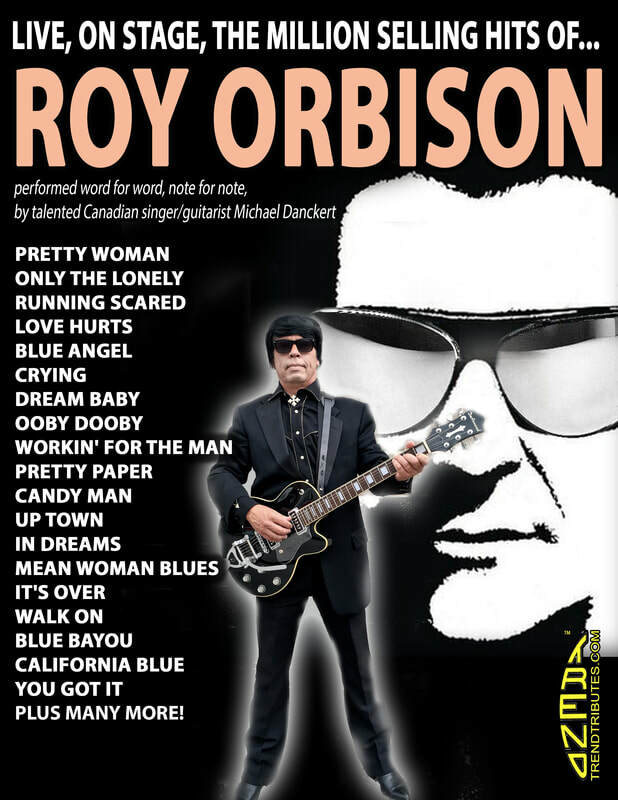 Re-creating the look, sound and mood of a Roy Orbison concert is no job for amateurs. It takes a seasoned pro, with the vocal range of an opera singer, to really pull it off and the multi-talented Michael Danckert, from Toronto, Ontario, does exactly that. On stage, his quiet confidence and incredible four-octave voice bring the late star back to life in a seemingly effortless way. As a teenager, Michael spent countless hours perfecting a craft that has turned into a full time career and turned him into a world class entertainer. Over the past 15 years, he has wowed audiences across North America in all sorts of venues - from concert halls to casino lounges to corporate events. One of the toughest problems facing any tribute artist is choosing the right songs. So, regardless of how easy or hard it may be to sing a particular song, if it was a hit, a performer can be pretty certain it's one of the ones the audience is expecting to hear. And even though a performer may be bored singing it, the audience will love it. Michael Danckert knows the songs Roy Orbison fans like to hear. This is why his show includes close to 30 of Orbison's hits, including: “Pretty Woman”, “Only The Lonely”, Running Scared”, “Crying”, “Uptown”, “In Dreams” and newer hits, like “California Blue”. As a seasoned entertainer, Michael Danckert knows his material and most importantly know his audience, which is why they return to his shows time after time.